I am writing this post in the garden of our holiday house. We had a very busy day yesterday visiting a few of the spectacular Chateaux in the Loire Valley, so today is a rest day and therefore a perfect opportunity to update my blog. 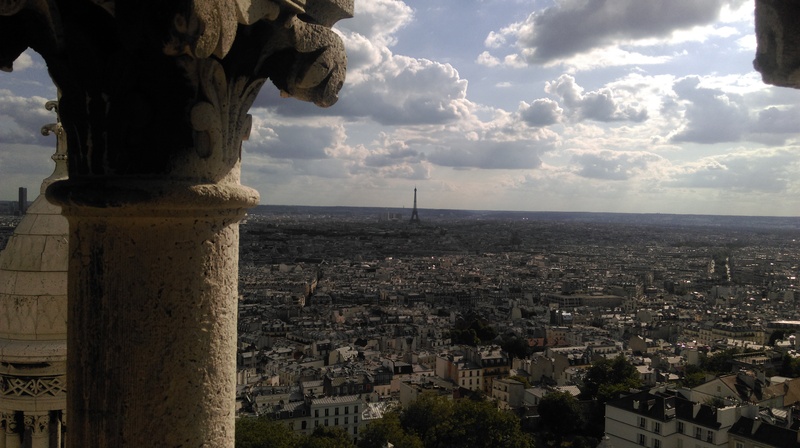 We have packed so much into our trip so far and still have a lot to do but one of the highlights for all of us was a daytrip to Paris. 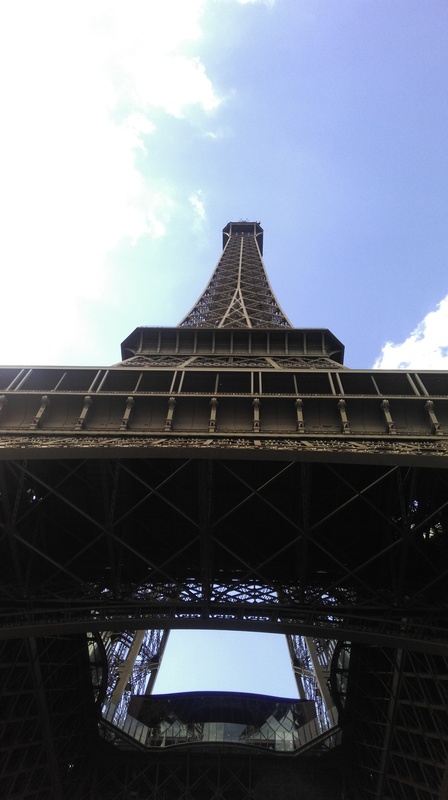 Before leaving for our summer holiday in France the children excitedly enquired if we were going to see the Eiffel Tower. The gite we are staying in is in the middle of the country, one hour from any major town and a three hour drive South of Paris so it hadn’t really been on the agenda. 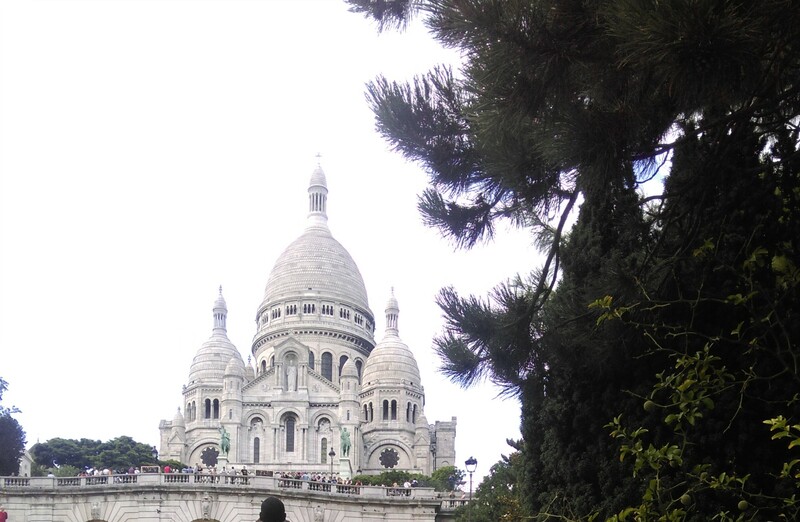 Admittedly I was nervous about taking 3 children into the vast city of Paris. The Metro is very busy and there are always crowds at the major tourist attractions, so, before leaving Belfast I had planned an itinerary of the major sights we wanted to see… in fact I had planned, planned and planned again in great detail our Metro stops and streets we should take in a bid to pack in as much as possible. But as I said to my husband ‘all great plans are flexible’ I soon found out the reality of this when we discovered that much of the Metro was under repair! 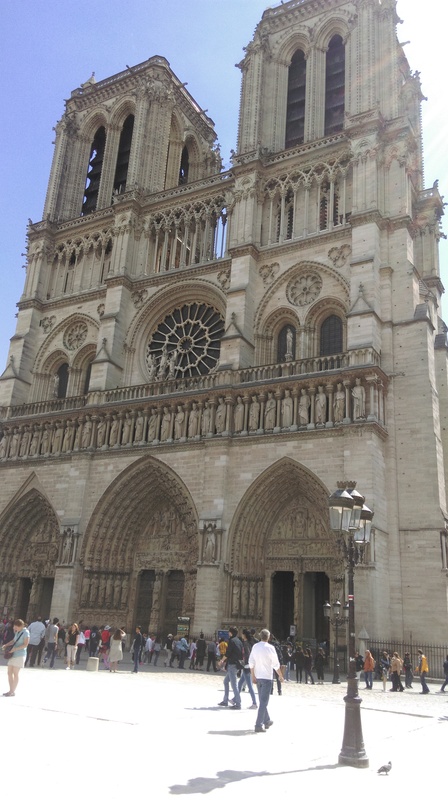 We managed to get as far as the Notre-Dame Cathedral (our first must-see sight on the list) and couldn’t get to our next stop, or the one after that. 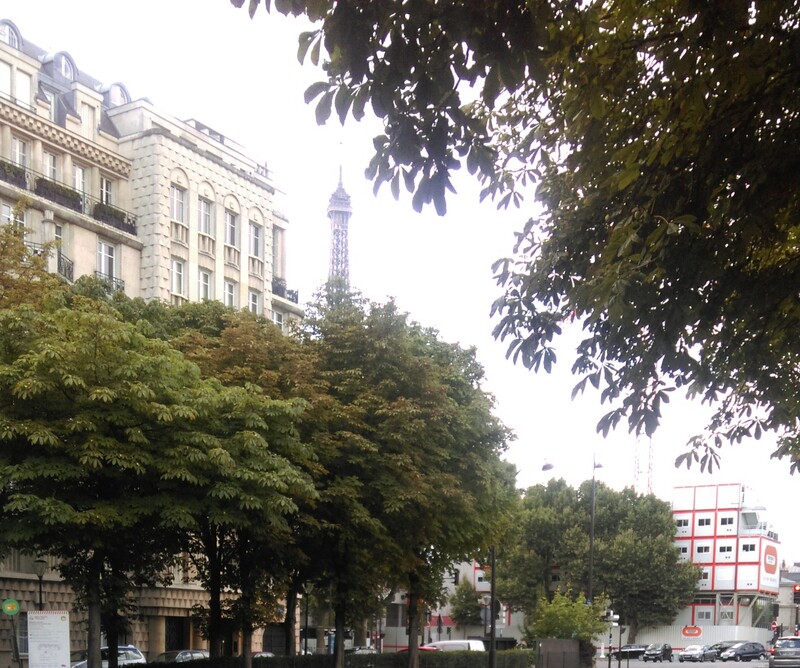 So, undeterred and still determined that we would see the Eiffel Tower we decided we would walk. We left behind Notre-Dame and L’ile de la Cite to walk along the Left Bank of the River Seine. 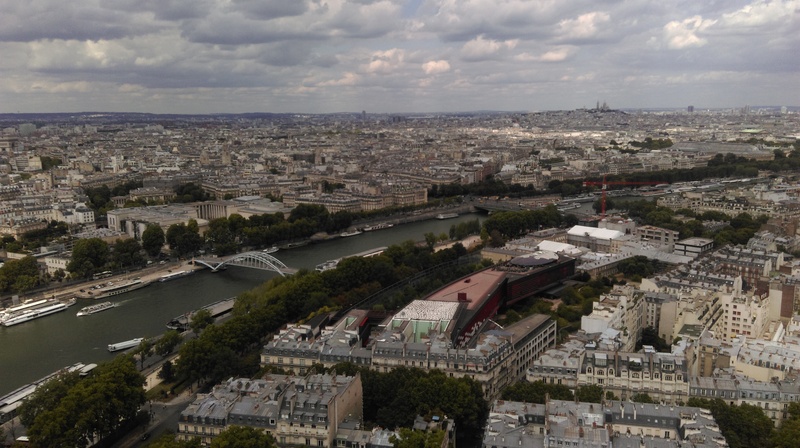 Thankfully we were all wearing comfortable walking shoes because it is a fair distance between Notre-Dame and the Eiffel Tower, however, the sights in between make it all worth the effort. 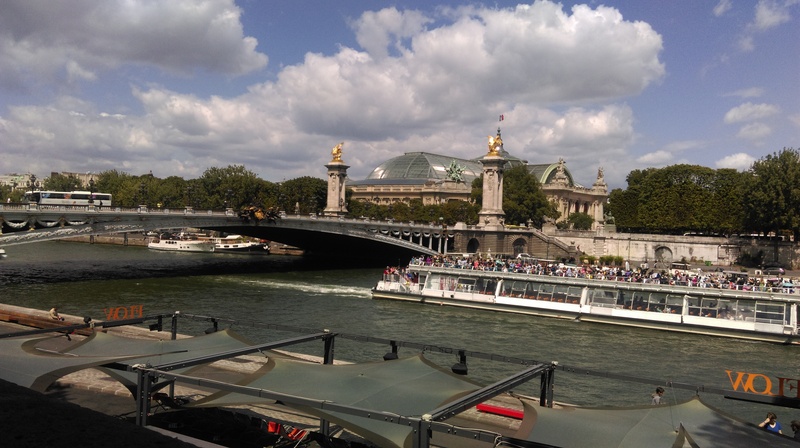 We stopped at Pont Neuf (New Bridge) which is the oldest bridge in Paris. 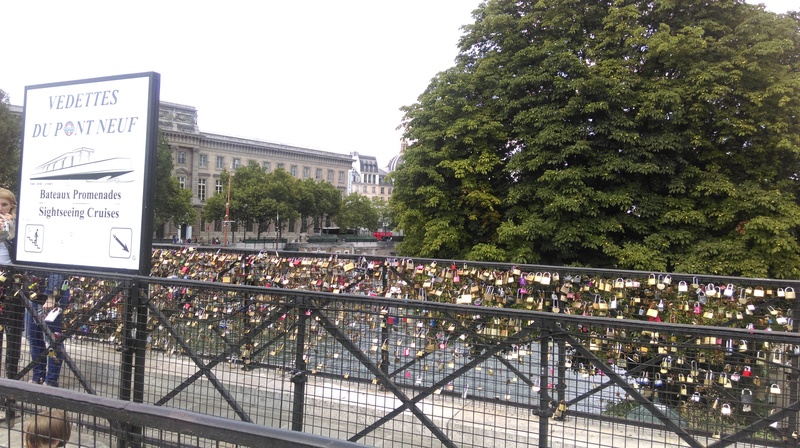 Built from 1578-1604, the houseless structure was highly controversial at the time and is well worth a stop-off these days to see all the padlocks that people have attached to it over the years with messages of love and hope written on them. 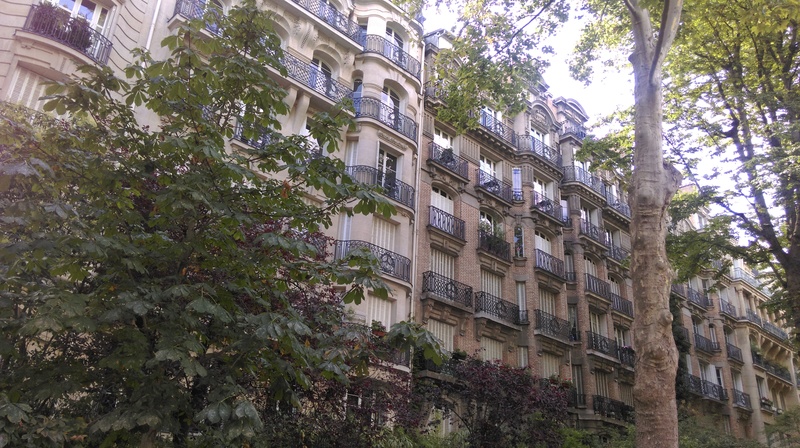 Continuing to walk along the River we enjoyed looking at the typical Parisian buildings with their balconies overlooking the Seine – so beautiful! 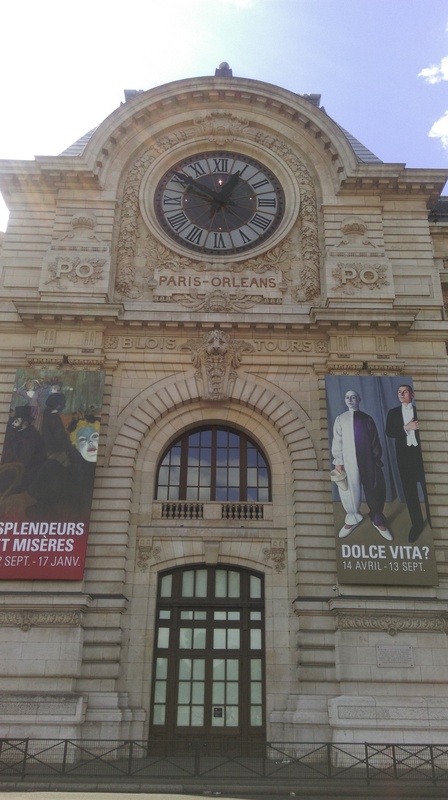 We walked by the Orsay Museum, a converted train station which houses works of Art by Degas, Monet, Van Gogh and Renoir. 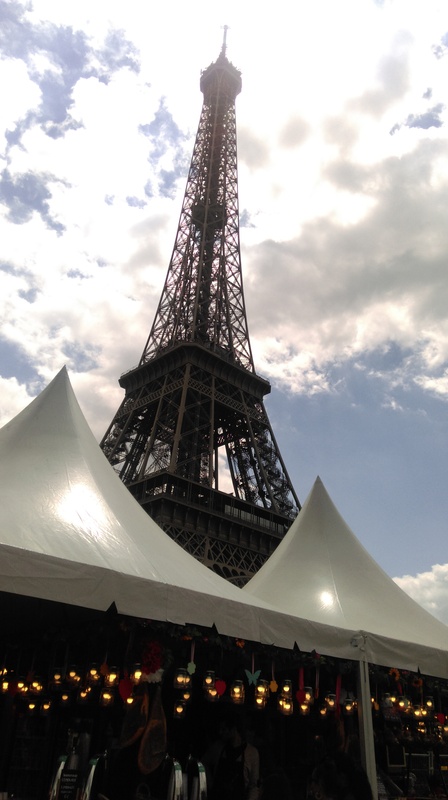 Unfortunately, we couldn’t go in on this occasion as we only had one day and ‘Mission Eiffel Tower’ had taken hold so we enjoyed the exterior and kept on walking! A good excuse to come back to Paris on another occasion though! 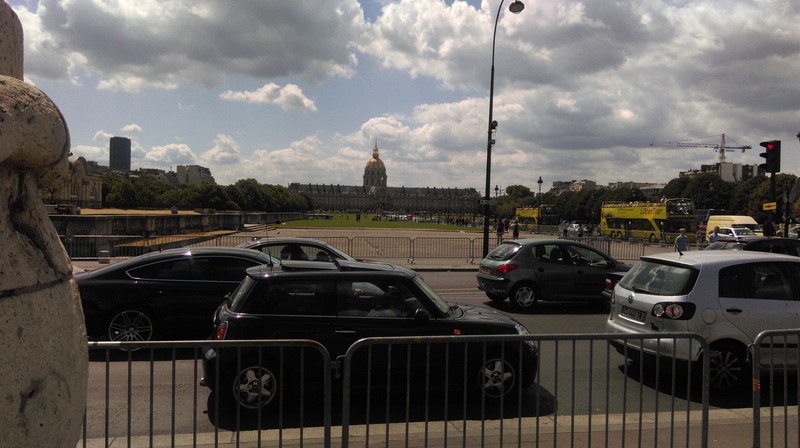 As you pass the Orsay Museum, note the Jardin des Tuileries on the Right Bank, which are close to the Louvre if you have time to go see the Mona Lisa and Venus de Milo. 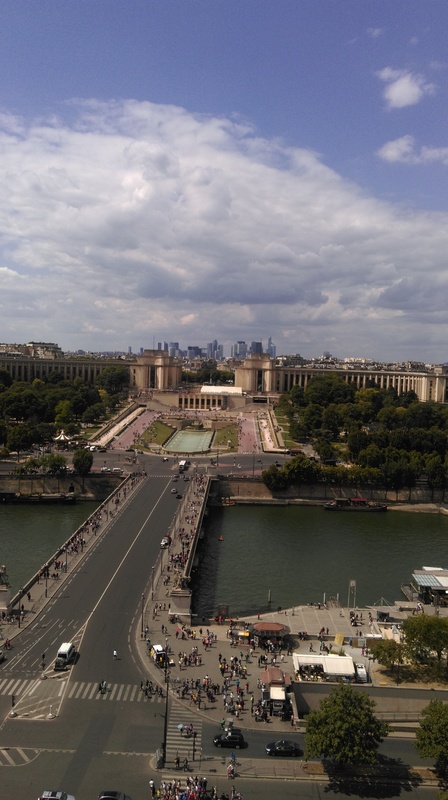 Not having time to take in the 35,000 works on display during our visit we marched onwards towards Pont Alexandre III where we paused to take in the view of Les Invalides, where you will find the tomb of a Napoleon. 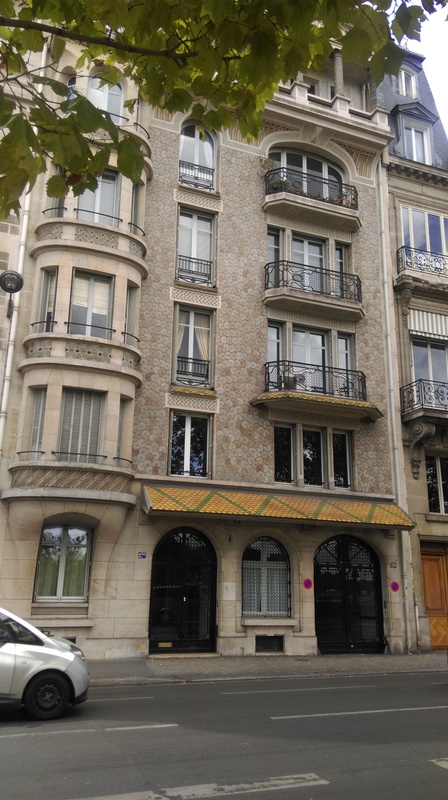 From here were continued on around the edge of the Seine, catching glimpses of the Eiffel Tower above the shops and houses. By this stage the children were super excited and also super hungry after the long walk so we stopped at a little market and had lunch while admiring the view. Since this blog is all about finding the silver lining moments I would have to say that the Metro being closed was indeed a silver lining occasion. Of course, it took us much longer to get around than anticipated and we were so tired by the end of the day. I felt as though I had run a marathon! 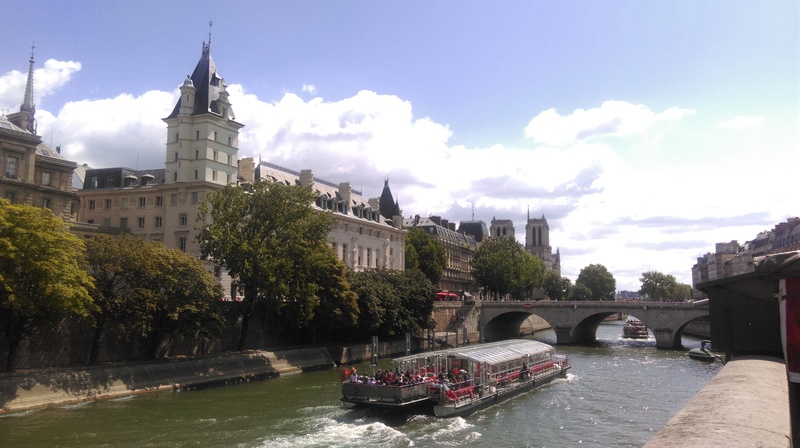 But had we been stuck underground in a stuffy train we wouldn’t have walked along the river enjoying all the sights and sounds on offer in Paris. I was anxious to begin with that my plans had been wasted and we wouldn’t get to see much but in fact we got to see and experience much much more than anticipated! 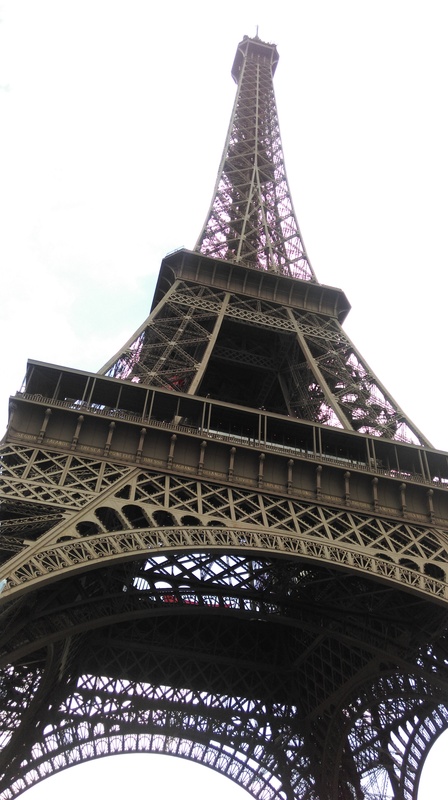 There is only one way to appreciate the engineering masterpiece of the Eiffel Tower and that is by taking the stairs! The lift needs to be booked months in advance anyhow and I really feel it takes away a lot of the experience of climbing the tower. Join the queues for the stairs! Ordinarily the queues can be fairly long, but on this occasion we were pleasantly surprised and had to wait no more than an hour to buy our tickets and start the ascent. 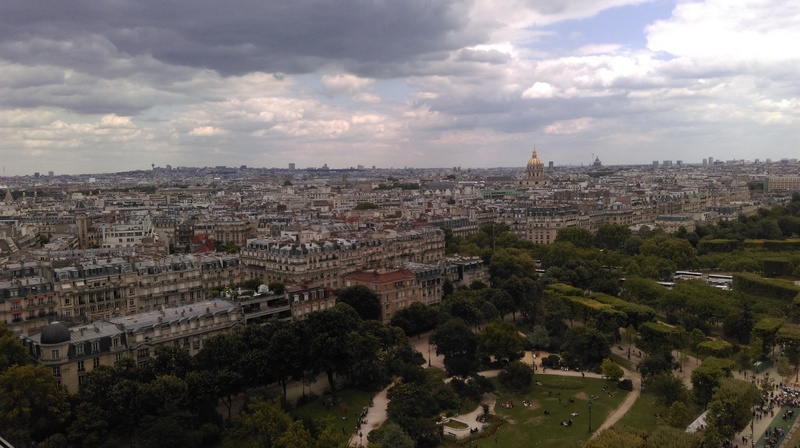 It is truly a lovely experience watching Paris unfold as you climb higher and higher. With each twist around the staircase offers a different perspective of the beautiful city. 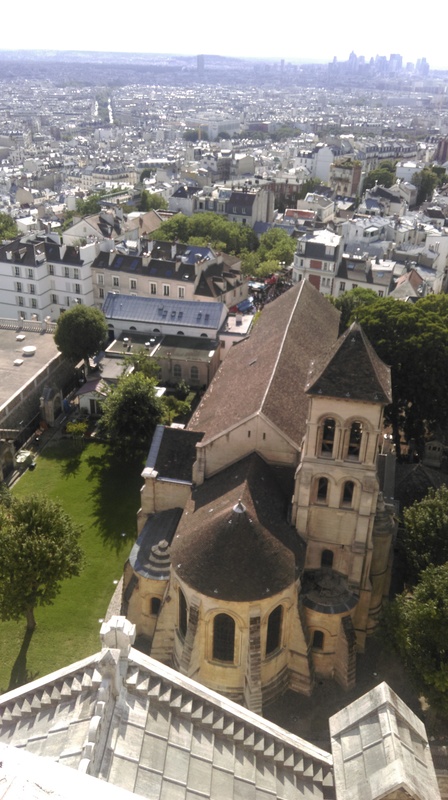 We climbed to level 2, the highest point you can go on foot and took in the splendour of the city below. 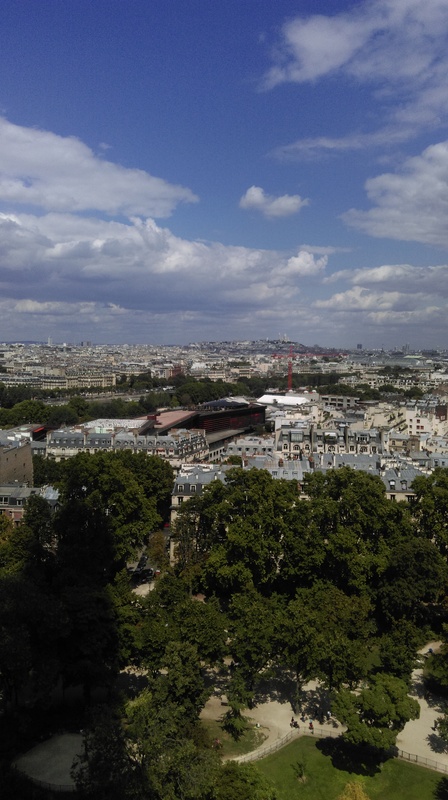 Thankfully after our descent we found a Metro line that was open and took the short joinery from Bir-Hakeim to Charles de Gaulle-Etoile to see the Arc de Triomphe and the world famous Avenue des Champs-Elysees. Back onto the Metro and from here we journeyed on to Anvers which is the stop for a visit to Montmartre and Sacre-Coeur. 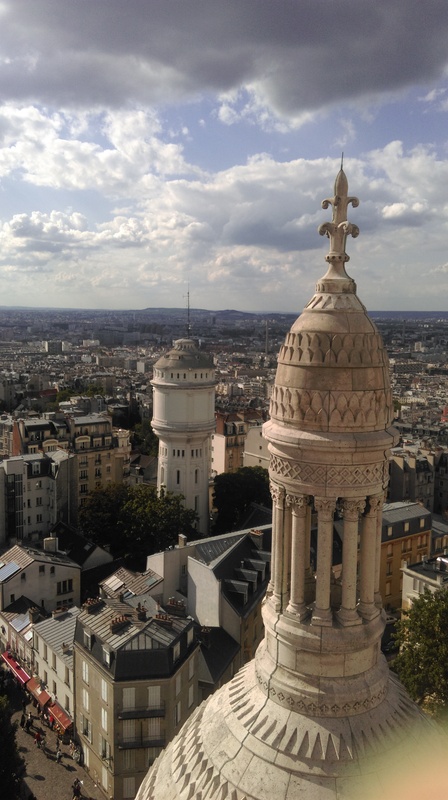 We climbed the dome of Sacre-Coeur and from here enjoyed the super view over Paris. After descending it was well into the evening and we had covered a lot of ground. With 3 shattered children in tow we got on the blue Metro line and followed it around to Nation. If I’d had time I would have stopped at Peres Lachaise Cemetery where Jim Morrison from the Doors and Oscar Wilde are buried. 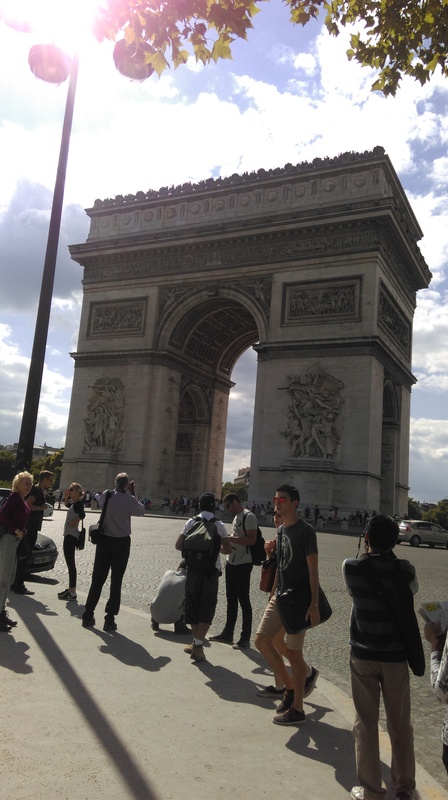 Instead we took the Metro back to Place d’Italie and said farewell to beautiful Paris. Exhausted but happy, we had done it. 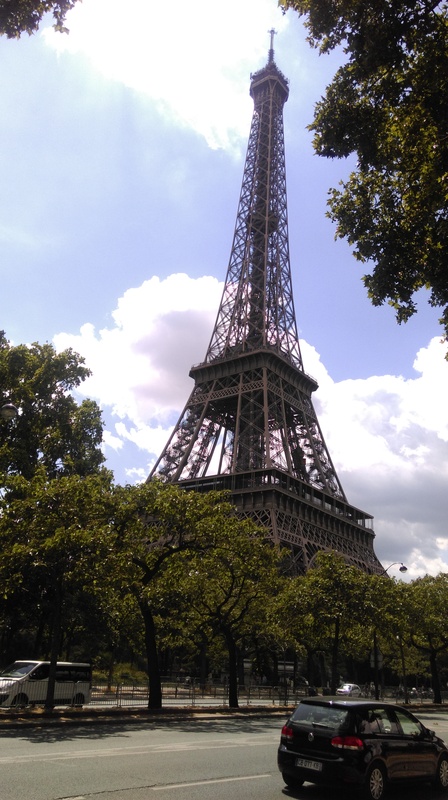 Paris in a day with 3 small children is not easy but it is certainly doable and an experience I would highly recommend. 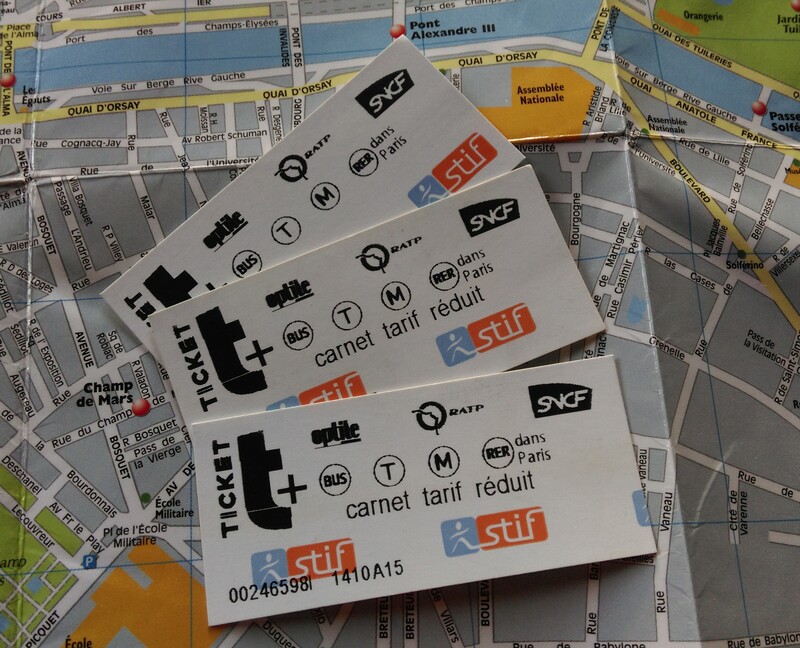 Even without a closed Metro silver-lined visit, a trip to Paris is a treasure beyond compare.